Dude thank you. 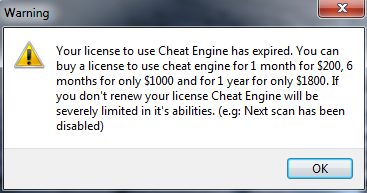 I have had nothing but failures trying to get any kind of cheat to work in this game. I've been trying about a year. Can confirm still working in Steam version 0.10.169. 'Inf Health' script is working now! All the cheats but health seem to be working for me in the 0.10.172 update. Is there something particular I need to do? Did you try the latest CT update? 'Inf Health' was the only thing needing an update. Yes I think so. v0.10.172 right? Or should I use the 171 one? I tried the 171 version too, just in case but still didn't work.